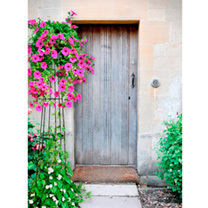 Create a green oasis on your railings! Two holes in the top of both the hanging hooks allow you to secure the planter once in place on the railing. 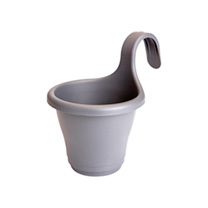 Integral saucer and overflow pipe keep your plants healthy. 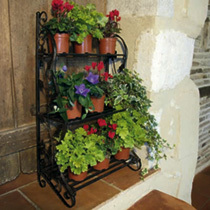 Pack of 2 trio planters in anthracite. Create a green oasis on your railings! Two holes in the top of both the hanging hooks allow you to secure the planter once in place on the railing. Integral saucer and overflow pipe keep your plants healthy. 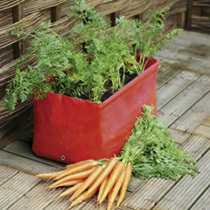 Pack of 2 trio planters in terracotta. Create a green oasis on your railings! 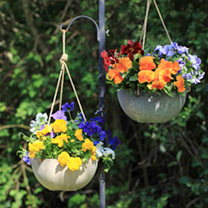 Two holes in the top of both the hanging hooks allow you to secure the planter once in place on the railing. 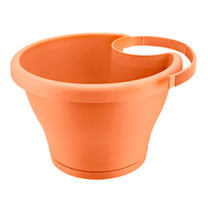 Integral saucer and overflow pipe keep your plants healthy. 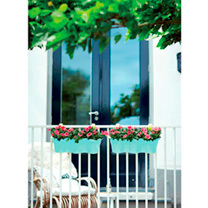 Pack of 2 trio planters in white. 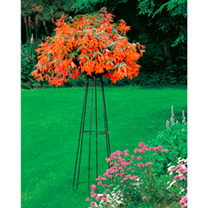 Create a green oasis on your railings! Two holes in the top of both the hanging hooks allow you to secure the planter once in place on the railing. 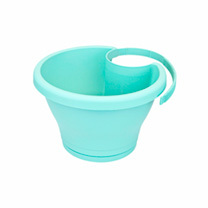 Integral saucer and overflow pipe keep your plants healthy. 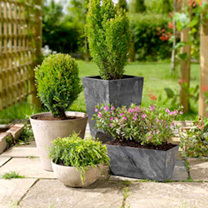 Pack of 3 single planters in anthracite. Create a green oasis on your railings! Two holes in the top of both the hanging hooks allow you to secure the planter once in place on the railing. Integral saucer and overflow pipe keep your plants healthy. Pack of 3 single planters in mint. Create a green oasis on your railings! 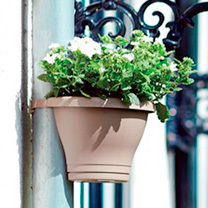 Two holes in the top of both the hanging hooks allow you to secure the planter once in place on the railing. 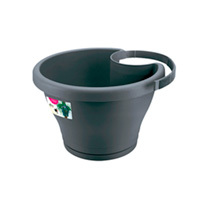 Integral saucer and overflow pipe keep your plants healthy. 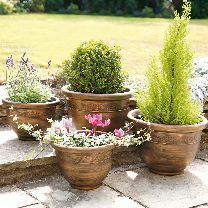 Pack of 3 single planters in terracotta.